One Day… | come blow bubbles! 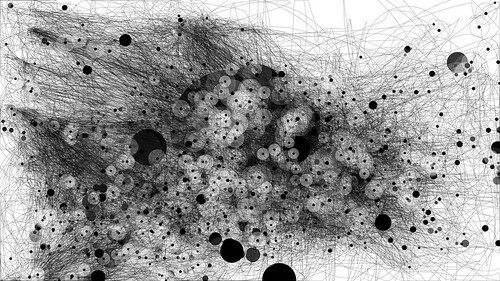 The lines represent the trail of my mouse, and the dots are any place I paused. It’s pretty much covered up, but there was a HUGE dot called lunch break. I first saw this over on Door Sixteen a few months ago. Randomly the other day I remembered it, and then went to work! I must say, this little doodad from IOGraphica is pretty sweet!